The Almond tree, although native to central Asia and the Middle East, spread through ancient trade routes which brought it to Southern Europe, Northern Africa and the USA. Today, California is responsible for around 70% of the world crop. Almond butter is made by grinding almonds until they turn into a smooth, creamy paste. Almond butter retains the essential fatty acids and vitamins of the almond nut.Almond Butter is wonderful butter which is hydrating, moisturising has natural emollient properties and is rich in minerals, anti-oxidants and vitamins. The coldpressed nature of butter extraction ensures the natural composition of the almond remains intact and the butter is full of its natural nutrients when applied to the skin. Almond butter spreads easily into the skin and works well as a deep moisturiser making it ideal for use as a massage butter. Natural vitamins and antioxidants will slow down the appearance of ageing while almond butters emollient properties soften and soothe the skin. 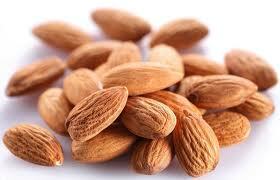 Almond Butter is a rich source of vitamin E which may help to prevent free radical damage to the skin. Free radical damage is implicated in cell damage, accelerated ageing of the skin and the formation of wrinkles.